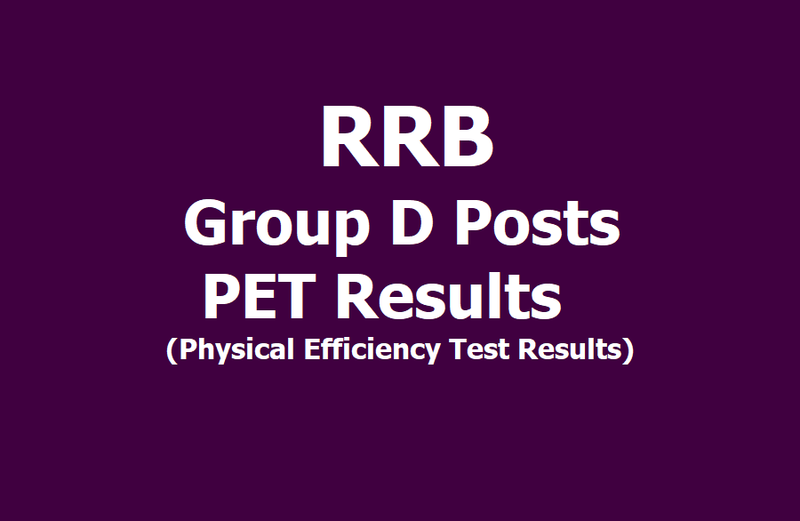 RRB Group D PET Results Declared: Railway Recruitment Board PET has released the Group D Physical Efficiency Examination Result. Most RRC has uploaded the physical efficiency test result (RRB Group D PET Result) on their websites. Candidates can check their results by visiting their region's RRC website. Step 1: Candidates will visit their respective RRC website to check their results. Step 2: Click the link of the PET result given on the website. Step 3: Now add your registration number and submit it. Step 5: You will be able to download and take a print out your result.